In the Fall Making of Design Principles Studio, students re-considered architectural elements that we often take for granted. In avoidance of defaults, Chunxin Yu, @chunxinyu, (in @lostritto section) designed a cubic inhabitable door. Min Jin Kook’s work from Making of Design Principles studio ( taught by Jacqueline Shaw @jcqlntshw), which considered artifacts (human-made autonomous objects) and elements (the constituent parts of an architectural construct). In this setting even the most fundamental aspects of architecture are open for reconsideration and design. Drawing for the 📺 by Carmen Yuexin Sun in #gradsummerdrawing taught by @lostritto. The final project for the drawing course prompts for two layers from two projection types—one from before and one from after—to be resolved into one drawing. Mikéla Sumner’s (M.Arch ’20) project in Professor Silvia Acosta’s (@sixdegreesarc) section of Architectural Design, which this spring directed students to design an art center for the city of Providence. The syllabus states that architectural design is, “best described as a mediation between the abstract and the real, with the building itself the primary testbed of architectural experimentation…we probe the differences in the way architects and artists operate in the world through the construction of the material and the conceptual–that is to say, the things we make and how they convey meaning.” Spring 2018 Architectural Design was taught by Silvia Acosta, Lauren Bordes (@laurenmalanebordes @malanebenedetto), Aaron Forrest (@aaaaronforrrreesstt ), Cara Liberatore (@prsicandprsic), Bob Mohr (@bobmohr), and Ben Pell (@_benpell). 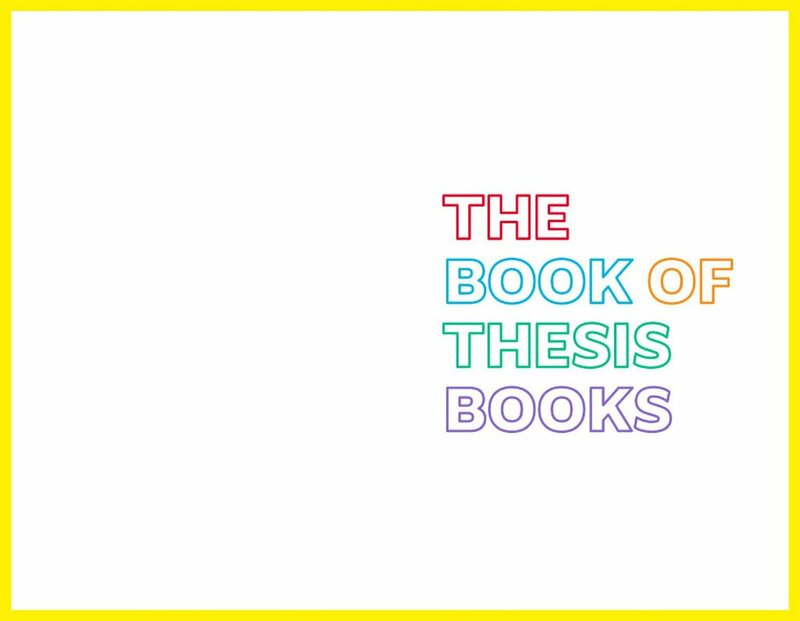 The Book of Thesis Books published by the RISD center for Arts & Language is available online. It categorizes exemplary Masters Thesis books into five categories: Academic Thesis, Monograph, Project Document, Mosaic Essay, and Artist's Book. 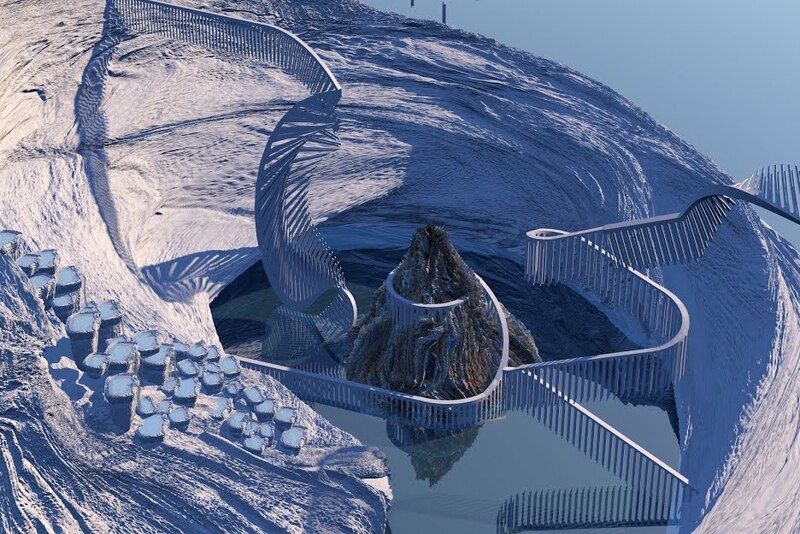 Designing the Cosmos, an intriguing Wintersession studio, was designed and taught by two M.Arch students. Over the span of five weeks, students were each asked to both imagine a new universe and—from interstellar space to an urban area —design it. Thanks to the efforts of graphic designer Andrew LeClair [RISD MFA, 2012], and faculty members Emanuel Admassu, Laura Briggs, Aaron Forrest and Carl Lostritto, RISD Architecture has a new visual identity. Inspired by the diversity of approaches and schools of thought within our department, rather than produce a logo, LeClair designed a mark-making tool. Now we have the potential to have as many RISD Architecture marks, as there are unique individuals and perspectives within the department. Stay tuned as we roll out marks by notable architects and educators from our lecture series, as well as renowned RISD Architecture Alumni.